Open Blu-ray ripper supports multiple formats, and also can decrypt Blu-ray discs. It's easy to use with higher conversion speed and powerful functions. Open Blu-ray ripper 2 can freely convert Blu-ray movies to various video formats like AVI, MKV, WMV, MPG, 3GP, MP4, FLV, SWF, MOV, TS, RM, ASF, VOB, M4V and audio formats like MP3, M4A, WAV, AC3, MP2, AMR, FLAC, WMA, OGG, RA, AAC, AU, AIFF, DTS, etc. Click here to learn more. Open Blu-ray ripper 2 is a powerful ripping tool to rip your favorite Blu-ray movies to play on nearly all the popular used multimedia devices, such as iPod, iPhone, iPhone 3GS, iPhone 4, iPhone 4S, iPhone 5, iPad 1, iPad 2, The new iPad, Apple TV, Xbox 360, Mobile Phone, GPhone, PSP, PS3, BlackBerry, Sony, Archos, Windows Phone, HTC mobile, Motorola mobile, Sony mobile and various other mobile phones. Open Blu-ray ripper 2 can convert Blu-ray discs encrypted with the latest MKB version and bus protections, BD-Live and UOPs without any third party plug-in and you can feel free to convert your Blu-ray movies to any desired format. Open Blu-ray ripper 2 can convert 2D movies to 3D format. It enables you to choose different 3D features such as Red/Cyan, Red/Green, Red/Blue, Blue/Yellow and so on, and you can also adjust the 3D depth to get your desired output effects. With the GPU acceleration, the conversion speed of Open Blu-ray ripper 2 is much higher than before. The HST™ is optimized, which increases the conversion speed largely as well. (An NVIDIA video card is needed. Click here to learn more.) What's more, its newly-developed technology makes the converted files have the same image and audio quality as the original. 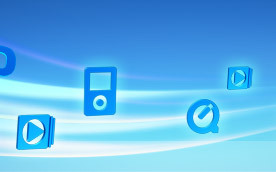 There are many high-resolution video formats added to the supported format list of Open Blu-ray ripper 2. This brand-new Blu-ray ripping tool is equipped with wizard functions. You can trim and crop your Blu-ray movies, as well as add image and text watermarks in it. Moreover, Open Blu-ray ripper 2 enables you to adjust the brightness, contrast, saturation, vertical flip, horizontal flip and the output background to get special video effects. This Blu-ray ripper also supports batch conversions from within the NTSC and PAL video formats and up to 5.1 channel audio output. 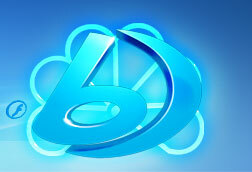 Open Blu-ray ripper 2 is a considerate Blu-ray ripping tool. To meet different users' need, Open Blu-ray ripper 2 is well designed with Express and Expert interfaces. If you are a beginner, you can just use the Express interface to convert Blu-ray movies with only one click. If you are a professional user, the Expert interface will be your best choice to customize your target file.